Get back to nature and enjoy all the beauty of Eureka Springs West by staying at one of our family-owned, well-maintained campgrounds or RV Parks. Amenities can include walking trails, game room, swimming pool, playground, and on-site supplies. Provide a special experience for your family: pitch your tent at a campsite in the woods, or choose your scenery and park your RV with a river view, a lake view, or in the midst of Arkansas’ wonderful Ozark mountains. It may be hard to pull yourself away from these special surroundings, but there are many adventures to enjoy from your home base: water activities, the arts, hiking, horseback riding, exploring Eureka Springs, and visiting our many attractions! Year-round camping is available overlooking beautiful Beaver Lake. 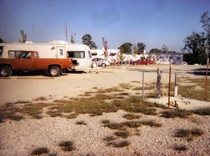 We have both full-service RV sites and shaded tent sites with a shower house. The property includes a deli and convenience store, a heated pool, and all manner of scuba and fishing gear and instruction. 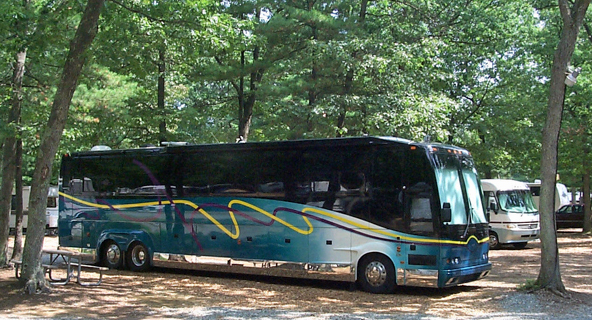 Full RV hookups are available in our amazing setting in the Ozark Mountains near Beaver Lake and the White River. There is a convenience store on the premises, a trout guide, and even an ordained minister for weddings. There are many trails on the grounds for your use, and fishing supplies are sold in the convenience store. We are family owned and operated. 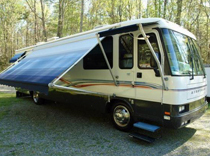 We have just one (very special) RV pad with full hook-ups and a maximum length of 40’. 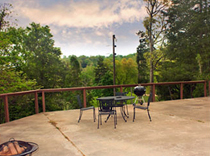 Located on a bluff with a gorgeous view overlooking both Spider Creek and the White River, this pad includes a separate, private washroom (bathroom and shower), as well as a charcoal grill and patio furniture. In addition, the resort offers fishing guides and rental of jon-boats, river boats, kayaks, rafts & canoes. Kids and pets are welcome!